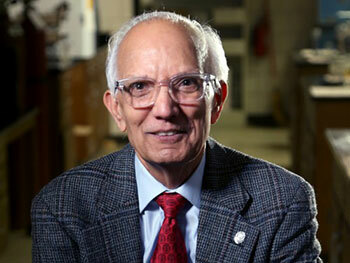 On 16 January, Rattan Lal, an eminent IITA alumnus and a University Professor of Soil Science at College of Food, Agricultural, and Environmental Sciences (CFAES), Ohio State University, was awarded the 2019 Japan Prize, considered one of the most prestigious honors in science and technology. The award was for original and outstanding research on sustainable soil management and its role in improving global food security and mitigating climate change. Lal, whose career in science spans five decades and five continents, is the first Ohio State scientist and the first soil scientist to ever receive the prize. He is a faculty member in CFAES’ School of Environment and Natural Resources (SENR), where he conducts research on topics such as soil processes, soil degradation, and sustainable management of soil and water. Lal also is the founder and director of SENR’s Carbon Management and Sequestration Center and is the past president of the 60,000-member International Union of Soil Sciences. Commending Lal for his soil conservation initiatives, Bruce A. McPheron, Ohio State’s Executive Vice President and Provost, said, “The University is proud of your achievements and for being the recipient of the Japan Prize. Professor Lal is one of the world’s preeminent soil scientists, and his research and insights will continue to have a profound and enduring impact on global food security in the decades to come,” he added. “Those of us at CFAES are enormously proud of our colleague, Rattan Lal, and his incredible achievements. He is a distinguished scientist, with a prolific research portfolio, but considers his primary contributions to be the training of many graduate students who have worked in his lab,” said Cathann A. Kress, Ohio State’s Vice President for Agricultural Administration and Dean of CFAES.